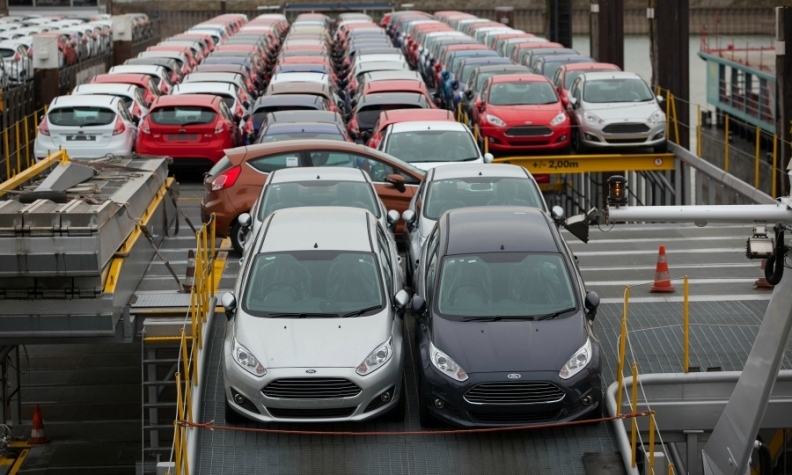 Newly built Fiestas wait to be transported from Ford's Cologne plant. FRANKFURT -- Ford says it has increased production of the Fiesta at its factory in Cologne, Germany, to satisfy growing demand for the subcompact. The automaker says it has raised daily output at the factory since the start of the year by 200 vehicles to 1,850 and has added six extra weekend shifts since February. The Fiesta was Europe's best-selling subcompact last year with a volume of 292,640, a drop of 4 percent over the previous year, according to data from JATO Dynamics. Ford began production of the Fiesta in 1976 and the model is now in its seventh generation. The company says it expects output of the Fiesta to pass the 16-million mark this month. About 4000 workers are employed to build the Fiesta at the Cologne plant. Last month, Automotive News Europe sister publication Automobilwoche reported that Ford was mulling moving production of the next-generation Fiesta to another European plant. Ford of Europe's No. 2, Barb Samardzich, told Automobilwoche that Cologne needed to improve the flexibility of Fiesta production and above all to make production costs more competitive to ensure output of the future model, which is due in 2017.